And it's been numbered, too! 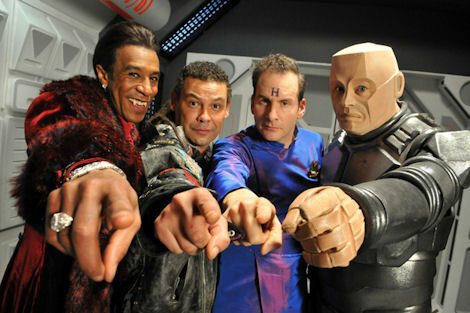 In the last few months you might have heard rumours about a new series of Red Dwarf. If you're on the internet, frankly, you could hardly have missed them. Well now the rumours are fact. 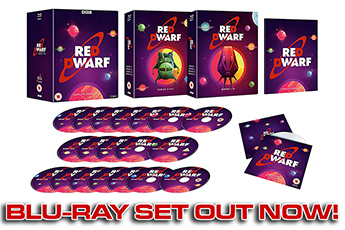 Red Dwarf X is on its way. 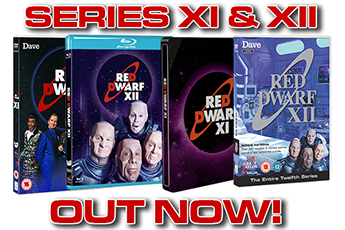 Attending Dimension Jump XVI on Sunday, April 10th, Red Dwarf's co-creator, writer, director and executive producer Doug Naylor confirmed to fans that all the hope and possibility of recent times has come good: there will be more new Dwarf. Thanking Steve North and Jane Rogerson from Dave - the channel behind 2009's Back to Earth as well as these new episodes - the statement came just moments before being released on the Dave website. Each episode will be approximately 30 minutes in duration. This is a big difference from the 23 minute episodes of Back to Earth. To compensate for this fuller length and commercial break, the new episodes will be shown in a 40 minute slot, much as current Dwarf repeats are on Dave. Shooting will take place this coming November, December and January, with broadcast slated for September 2012. That apparent delay is born of common sense - after its complex post-production, Red Dwarf X would be ready to broadcast in the summer, but that's a time of low audiences. An autumn launch will make the very most of Dave's new commission. Taking questions from fans during a Q&A session, other - decidedly unconfirmed - possibilities came to light. Doug's focus is on a characterful series, coming back down to the 'intimate SF/sitcom' stylings of earlier series (though anyone who thinks Series III isn't pretty huge-looking needs to rewatch their DVD). 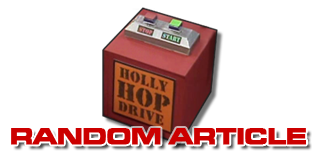 There's always a possibility that Holly might return, but how and played by whom is up for grabs. And Talkie Toaster could always make a reappearance, too. Hopes of new model effects - rather than CGI spaceships - were high, but dependant on budget. Similarly, Doug and the cast hope to shoot the series in front of a live studio audience... they just need to make it feasible, and convince the channel! Brand new Red Dwarf. Can you believe it?! Well, can you believe it? Let us know on our Forum.